Beto O'Rourke is on the road again. Facing calls to run for president after his closer-than-expected loss to Republican U.S. Sen. Ted Cruz, O'Rourke has embarked on a trip outside Texas, the first stops of which he detailed in a Medium post Wednesday. 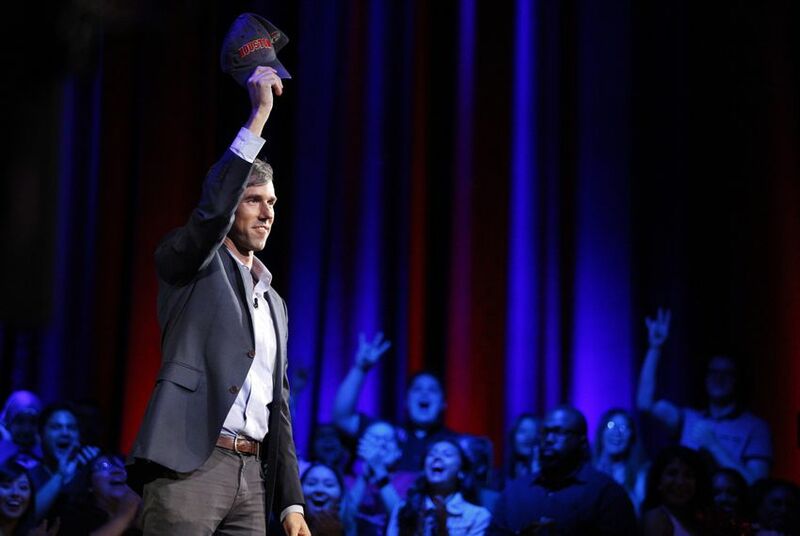 O'Rourke, a Democrat, indicated he was traveling along U.S. Route 54 from his hometown of El Paso, through New Mexico, across the Texas and Oklahoma panhandles, and into Kansas. While the post made no reference to the presidential race, it made clear life after Congress has been weighing on him. "Have been stuck lately. In and out of a funk," O'Rourke wrote, noting his last day as a congressman was Jan. 2 and he has not been without a job in over two decades. "Maybe if I get moving, on the road, meet people, learn about what’s going on where they live, have some adventure, go where I don’t know and I’m not known, it’ll clear my head, reset, I’ll think new thoughts, break out of the loops I’ve been stuck in." The post appears to line up with a Wall Street Journal report earlier this month that O'Rourke was making plans for a "solo road trip outside of Texas where he would 'pop into places' such as community college campuses." On Medium, O'Rourke recalled visiting Mesalands Community College in Tucumari, New Mexico — where his great-grandparents were from — and Oklahoma Panhandle State University in Goodwell, Oklahoma. O'Rourke wrote that he held a wide-ranging conversation with a group of students at the university, talking issuing including health care, campaign finance and national unity. In addition to Tucumari and Goodwell, O'Rourke said he stopped in Dalhart, where he visited a VA clinic, and made it to Liberal, Kansas. As O'Rourke grapples with a 2020 decision, the race has picked up considerably. On Saturday, another Texas Democrat, Julián Castro, made his bid official, and on Tuesday, U.S. Sen. Kirsten Gillibrand of New York announced she was running.